The second thing you notice is Manapany’s ode to authentic French-Caribbean culture, including cocktails infused with rhum agricole from Guadeloupe and Martinique, and a seafood-inspired menu that fuses haute-cuisine techniques with bounty procured from local fishermen and native herbs from an on-site garden. 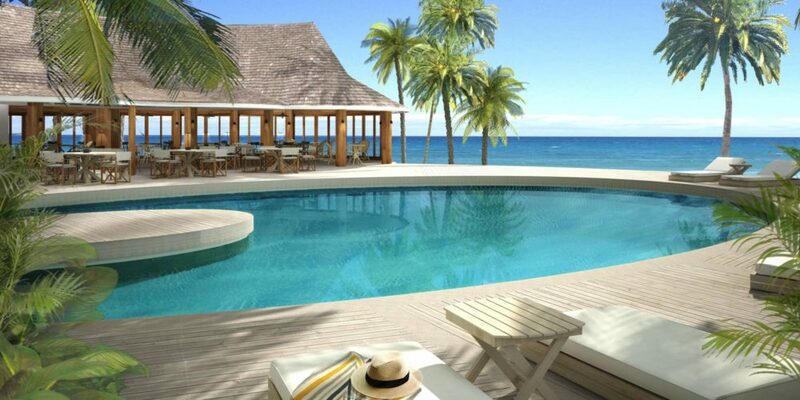 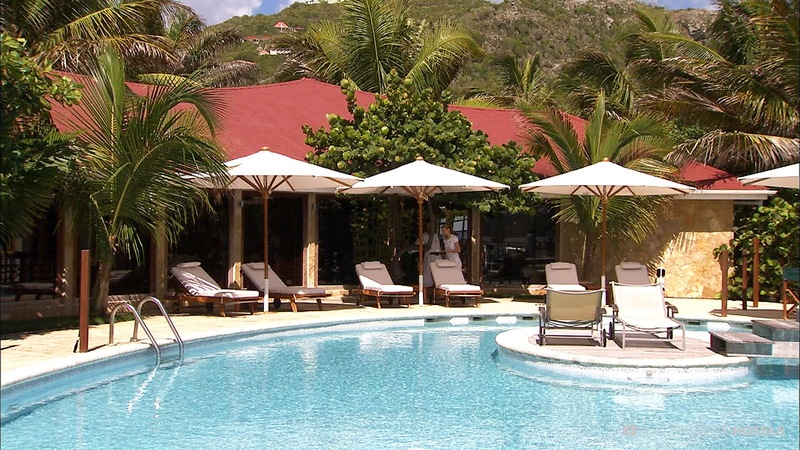 Located in Anse de Cayes (a more mellow corner of the island compared with busy St. Jean), Manapany is staking its claim as a five-star eco-friendly resort among the classic glitz and glam for which the island is known. 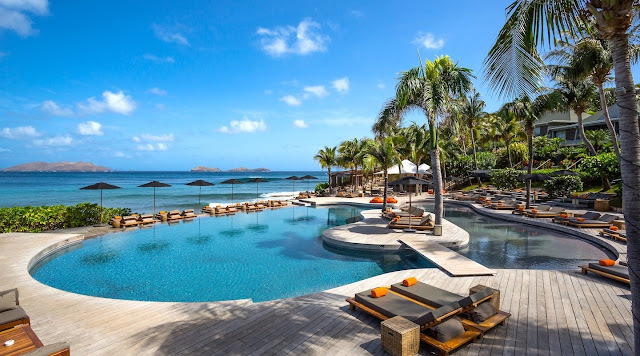 It’s the only resort on St. Barts truly committed to protecting the environment, with amenities that include electric vehicles for guests to use and solar-powered water heating. 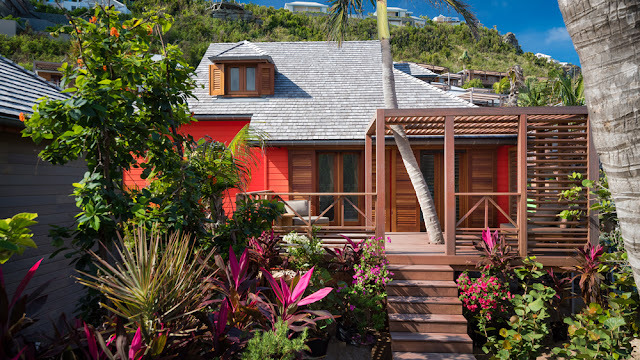 Originally unveiled in March 2018, Manapany reopened on November 15 with even more updates, including a new farm-to-table restaurant featuring Mediterranean fare sourced from the island, a new leisure room, and an atelier design studio offering custom-made creations by the island’s most sought-after designers. Executive chef Martel oversees the newly constructed 60-seat restaurant with enviable views of the Caribbean Sea. 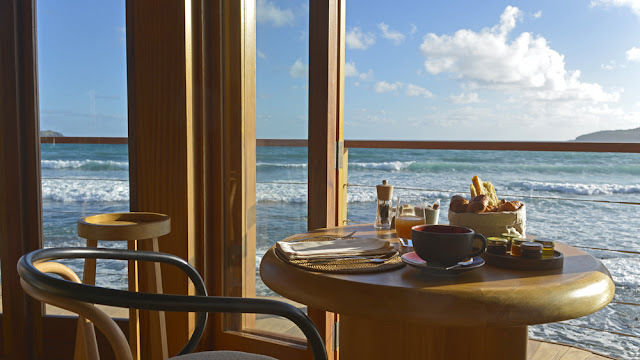 The cuisine reflects Martel’s 15 years of experience on the French Riviera by highlighting local seafood and a French rotisserie to prepare chicken, meat, pork, lamb, and fish. 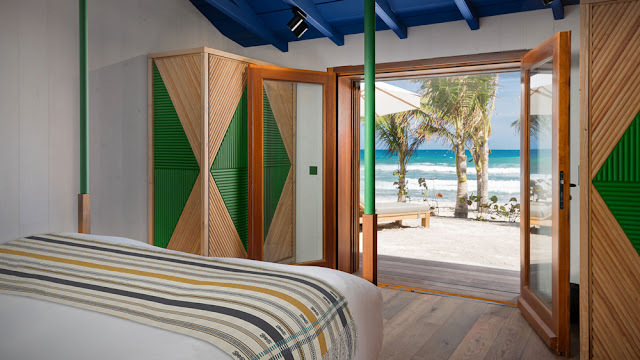 Along with the new library that serves high tea and bespoke cocktails amid walls of art and history books, guests can also enjoy a new atelier by designers Cedric Vernon Fahey and Rodolphe Ayer. L’Atelier by Ced & Rod allows guests of the hotel to book private consultations with the designers to create custom-made couture that will be ready to take home on the day of departure (with a minimum five-day stay) or can be shipped within six months of the consultation. French luxury hotel group B Signature Hotels & Resorts tapped interior designer François Champsaur to reimagine the 43-room resort from the ground up, and it is the brand’s first property outside of an impressive European portfolio that includes four boutique properties in Paris and a stunning 30-room Relais & Châteaux property in the countryside of Brittany, Domaine de La Bretesche. 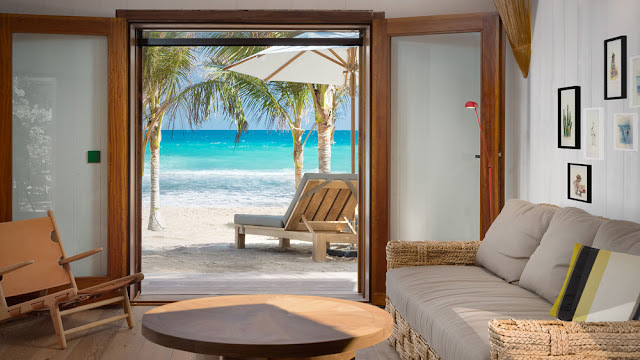 Each room at Manapany has an ocean or garden view, with decor that embraces the property’s “back-to-roots” motto with tropical woods, ocean-inspired pastel furnishings, and earthy tones. There’s a touch of the international, too, thanks to brightly colored rugs woven by Mexican artisans and original drawings by French artist Mayon Crayon. 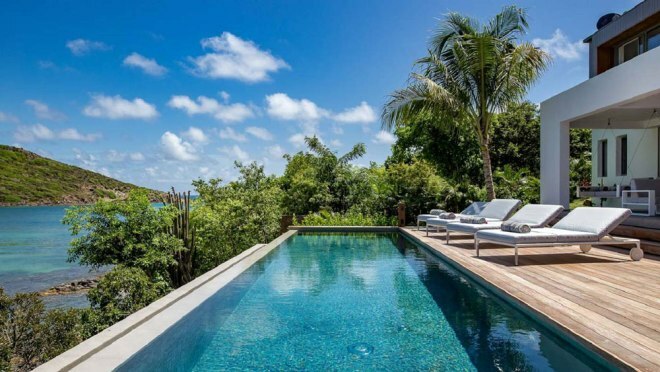 There’s also a spa offering Dr. Hauschka products and yoga classes, and two swimming pools overlooking the turquoise ocean. It all adds up to an intimate and personal vibe not unlike Hotel Villa Marie Saint Barth, another newcomer to arrive on the island with a fresh perspective. It’s also another step forward for the island as it reinvents itself after Hurricane Irma.